Join Second Use in celebrating our 24th anniversary with our largest event of the year! 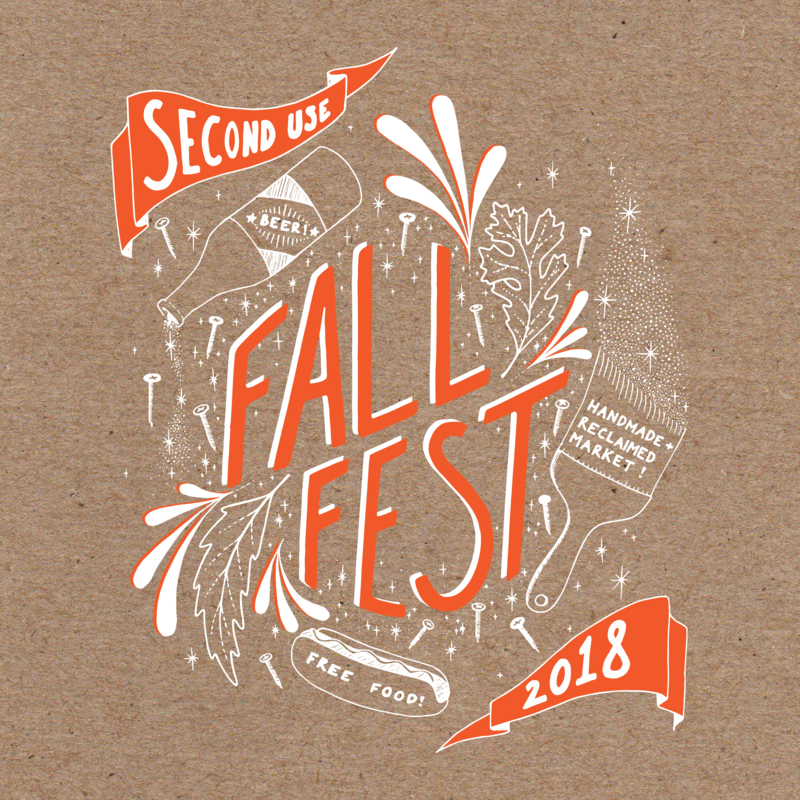 Fall Fest features free food, all ages games, local beer, DIY screen printing, the Handmade & Reclaimed Market, and a HUGE storewide sale. 20% OFF | Shop our biggest sale of the year! All merchandise will be 20% off during the festival. EAT UP | Nosh on free hotdogs (veggie too) grilled by Second Use grill master, Dave Lacey. DRINK | Grab a pint of beer and play some yard games in our beer garden, hosted by Sawhorse Revolution. All proceeds go directly to their cause! PLAY | Bring the whole family and enjoy a slew of all ages games made from salvaged materials including mini golf, toilet seat horseshoes, corn hole, shuffleboard, huck-a-duck, and more. SCREEN PRINT YOUR OWN SHIRT | Bring an old tee and revive it with a brand new design! Second Use staff will assist you in screen printing your own shirt, no experience needed. Spread the word with your friends, family, and followers on Facebook!